Are you looking for somewhere private, light & airey for yours or your friends beautiful baby shower? We have just the place for you, upstairs at the Attic Gin & Prosecco Lounge ,where you can hire out the venue for a couple of hours for afternoon tea , with no hire charge. We charge £11.95 pp for afternoon tea inc scones/jam/cream , sandwiches, cakes/pastries , tea/coffee . Or £14.95 pp to inc a glass of prosecco too. 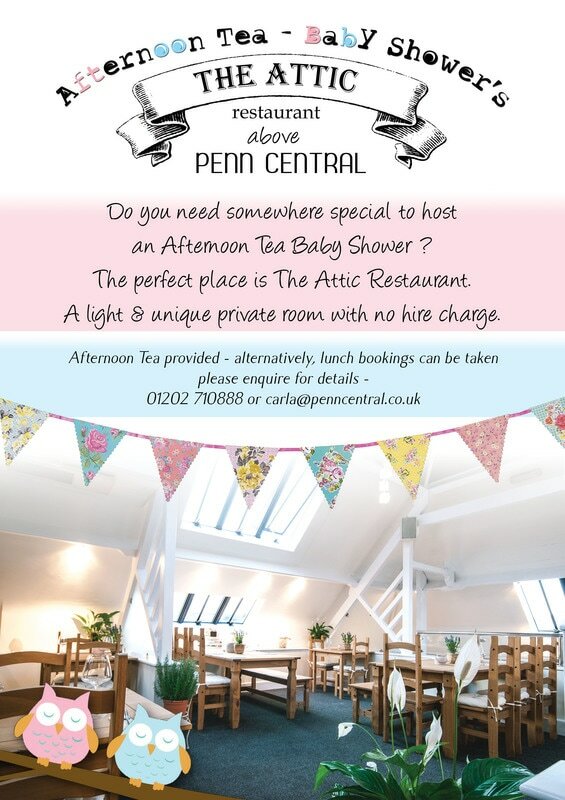 Just get in touch today to reserve your afternoon tea baby shower!